Emily Cairns first found her passion for performing when she was just 4 years old. She holds a Diploma in Performing Arts majoring in both Dance and Musical Theatre. Emily has completed examinations in I.S.T.D (Modern Theatre, Tap and Ballet) and the International Spanish Dance society (Spanish and flamenco). 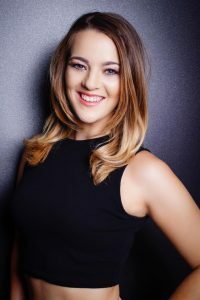 She has also had extensive training in other styles of dance including Jazz, Contemporary, Lyrical, HipHop, Showgirl, Cabaret and Ballroom as well as having studied singing and acting. Emily gains great satisfaction from seeing her students develop their technical skills and love of performance and prides herself on her unique and expressive choreography.